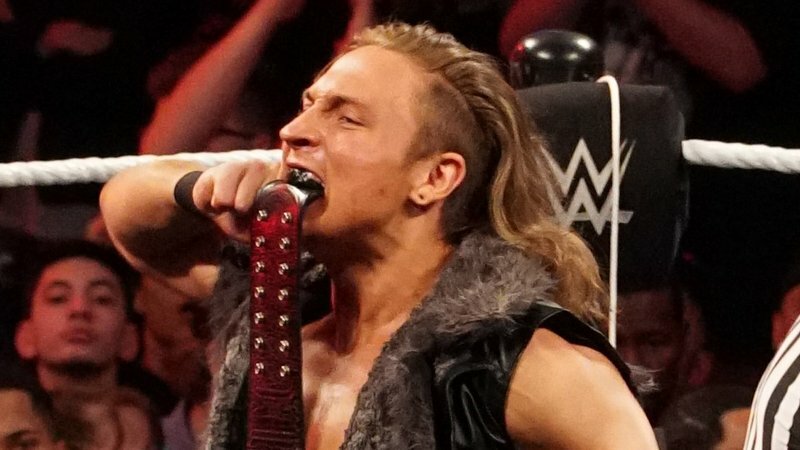 NXT UK Champion Pete Dunne was today’s guest on E&C’s Pod of Awesomeness. Dunne opened up about his time in WWE and his long reign as NXT UK Champion. Highlights appear below. The springboard as in the big platform for wrestling fans around the world to see us was myself and Tyler at TakeOver Chicago because before that we’d done the UK Tournament and there was buzz in the UK about us getting our own show, but I felt there needed to be something to expose us to the whole world of wrestling fans. Moreso than that the feeling of being in TakeOver is completely different even though we got a lot of response and a lot of praise from the first tournament and then being able to do NXT weekly TV obviously you get a huge response compared to anything we’ve ever done before. Another step up is TakeOver. It’s a completely different feeling. I’d even argue more so than when I got the opportunity to do RAW. There’s just so many eyes on you and passionate fans that it really was a massive springboard for us. The other answer to that question is when Regal first saw me wrestle and that’s what put me into the position to be featured as heavily as I’ve been. That was on a show in Mansfield that I was getting paid 50 pounds for in front of about 40 people. I was sitting at home and it was just routine. It was just another show for me and I got a call from Regal. I never spoke to him. I never met him. I missed the call a few times and he started emailing me. After about the third or fourth time, it said Stamford, CT. I picked up an it was him and he wanted to come see me wrestle that night, so I got the chance to wrestle pretty much just in front of him….I wrestled my heart out and I guess that was the match that really got me into that position. After that he offered me the tryout and now here we are. It was a case of right place, right time in so many different ways. I think if it had been any mixture of us wrestling any other people, it wouldn’t have worked the same way. We came out with a little bit more heart behind us. Everything just seemed to fall into place in the right way. Tyler is somebody I helped train and wrestled numerous times. I had his first match with him and we’d been all around the country wrestling each other every weekend and testing ourselves saying, ‘Alright, let’s not even talk about anything. Let’s go out and wrestle and see what happens.’ We did that numerous times, so we were so comfortable working with each other. There wasn’t any nerves. There wasn’t any worrying about the match. It just felt routine on a bigger platform. All that stuff added up to make it right place, right time in the best way it possibly could. It worked better with us being in Chicago. If it was in the UK, they would have had certain expectations and a bit more responsibility and pressure almost to go out there and do something that was gonna change British wrestling, but it was in Chicago and it didn’t feel like that. It didn’t feel like the NXT UK brand was on our shoulders. It just felt like we were getting the opportunity to do the same match we were doing years before. It really was a place of right place, right time and those expectations there really helped us.